Ultra Hal 7.0 - NEW! 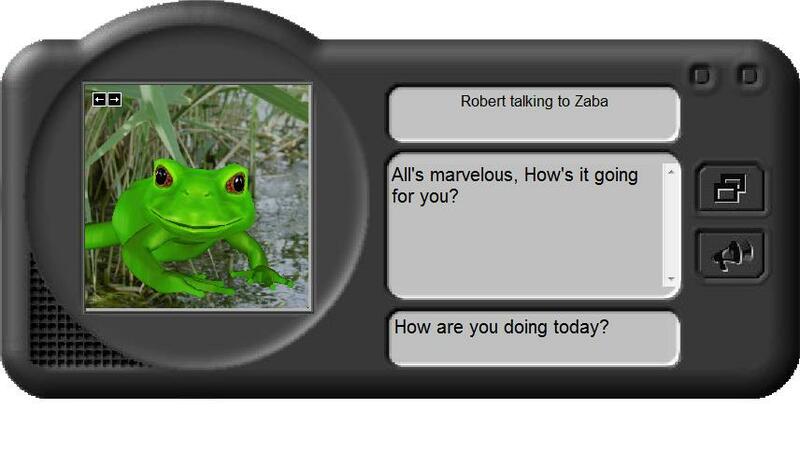 Ultra Hal is a conversational system for your Windows PC based on award winning artificial intelligence technology. 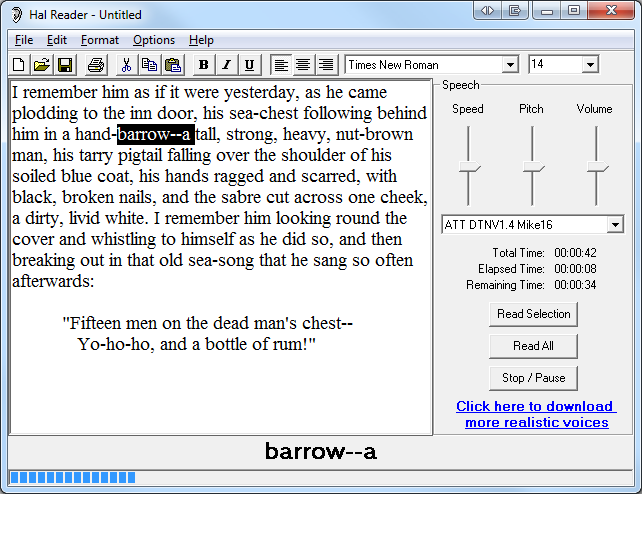 The Zabaware Text-to-Speech Reader is an application that uses a speech synthesizer to read documents and more outloud. It is available for free with generic voices or sold with high quality AT&T Natural Voices at the lowest prices in the industry. Read documents, emails, web pages, and Windows dialog boxes out loud in one of many high quality voices. Add up to 11 high quality AT&T Natural Voices to Ultra Hal (above) and any other SAPI compliant application. You can use advanced CereVoice by CereProc to achieve voices that sound real and have character. Assists people with reading disabilites (including dyslexia) and concentration problems (including ADD/ADHD). By reading along as it speaks you combine your visual and auditory senses to help comprehend and concrentrate on the topic. Quickly devour large amounts of reading material through speed reading. Simply set the speech speed high and read along as the program flashes on the screen the word it speaking. Using the science of rapid serial visual presentation the program helps reduce eye movement while reading and adds supplementary fast spoken speech for increased comprehension. Text can be saved as an audio file for transfer to an audio CD or iPod/MP3 player so you can listen on the go. Helps with proofreading your own work. Hearing your documents spoken outloud makes it easy to spot mistakes. Choose from many 3D characters in a customizable interface.